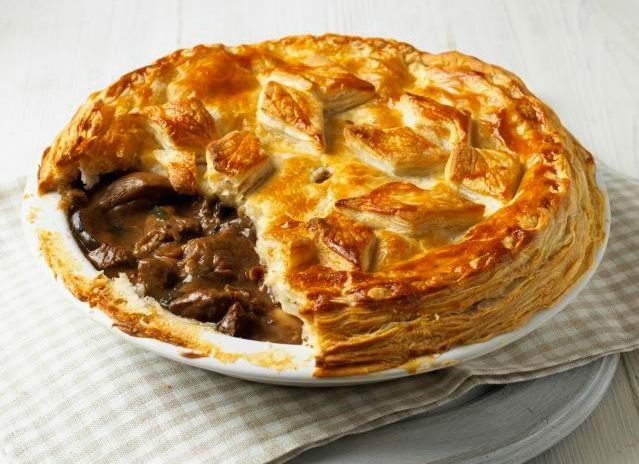 Tip: It’s possible to make this recipe with only one kind of meat but we recommend using more than one to create a blend of flavours and a more exciting pie! Hey there food lovers! Did you enjoy last month’s recipe?? Thanks to everyone who sent us a message we’re so happy to hear you enjoyed it. We’ve got a seasonal treat for you to tuck into this month. A warming dish for the cold November evenings, using beautiful in season ingredients – ‘Game Bird Pie with Jerusalem Artichoke Pureé’. Our chefs have been experimenting with lots of different flavours over the month in our innovation kitchen and they’re sure you are going to just love this tasty dish. It’s bursting with nutritious ingredients that are all in season right now; carrots, parsnips, celeriac and celery. Topped with a shortcrust pastry it makes a fantastic centre piece to any dinner party! The beauty of this dish is its simplicity. Once you’ve prepped all your ingredients and placed them in the oven you can pretty much sit back and relax and maybe even treat yourself to a nice glass of wine while you wait! So, here’s you list of ingredients…..happy cooking!!! In a large pie dish, butter and lightly flour and place in the shortcrust pastry, layer of parchment paper and some baking beans or rice. Blind bake at 180C for 20mins until crisp and lightly golden. Set aside to cool. In a large heavy bottomed pot, heat 20g of rapeseed oil, lightly flour and season the meat, sear in batches until coloured on all sides, set aside to rest. Add the veg into the pot with the herbs and fry until beginning to soften, remove and add to the meat. Deglaze the pan with the red wine and reduce by half, add the stock and the remaining ingredients as well as the meat and veg, bring to a boil and reduce to a simmer for 2 hours. Allow to cool completely before pouring into the pie dish, brush some milk around the edge and place the puff pastry sheet on top, trim the edges. Brush all over with 1 beaten egg. Heat the oven to 200C, place in the middle shelf and cook for 25-35mins until golden on top. While the pie is in the oven, place the artichokes in a pot and boil for 15mins until tender, remove from the water and blitz in a food processor with the butter, salt & pepper until smooth. Serve alongside the pie with some optional redcurrant jelly & mashed potatoes. We can’t wait to hear what you think of the pie, please let us know what you thought. Our chefs are currently working on some amazing ideas for Christmas at the moment and we’ll be back really soon with some festive treats. Make sure to check out our news section over the coming weeks. If you’re looking for some inspirational food ideas you’ve come to the right place. We always keep an eye on the latest food trends in the market and would love to help you create something amazing.